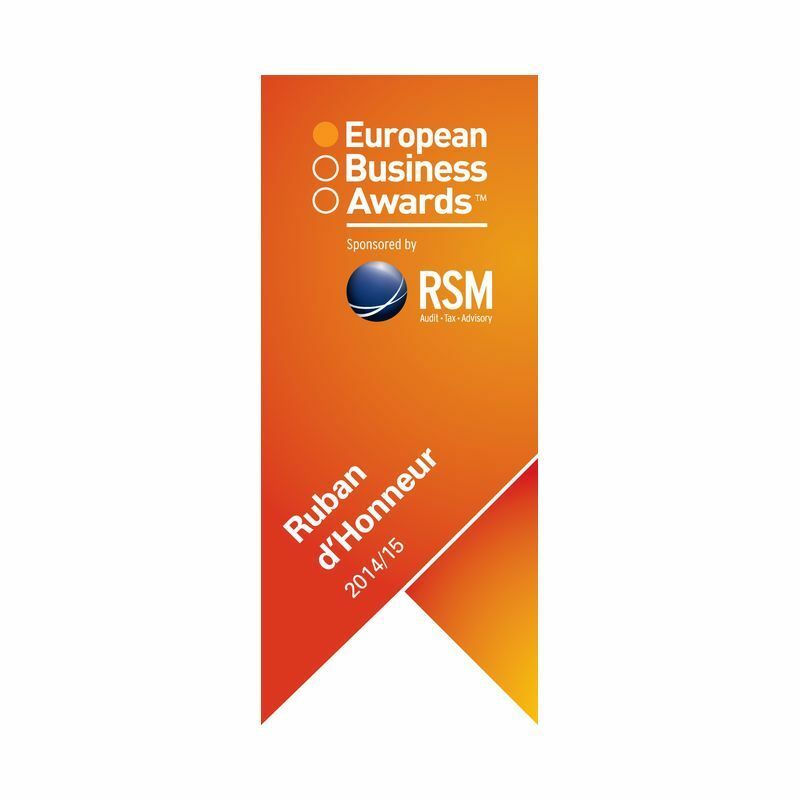 OKNOPLAST is Poland's only company in the construction industry to be selected for the top ten of the second stage of the European Business Awards for Import/Export and to receive the Ruban D'Honneur award. Thus, OKNOPLAST finds itself in the group of 110 best European companies and has qualified for the finals of the prestigious business programme. 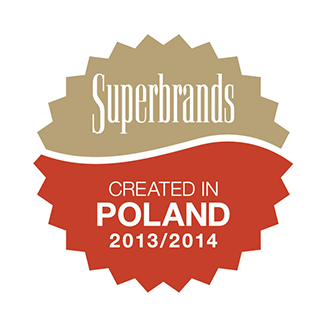 The title is awarded to Poland's strongest consumer brands. This is confirmation of the brand's leading position among consumers. 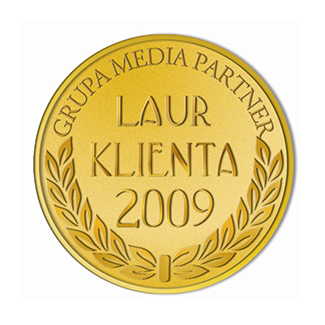 Consumer's Golden Laurel is awarded in Poland’s largest nationwide consumer project. The main objective of the contest is to choose the most popular products and brands in various categories. The Premium Brand title is awarded to businesses that achieve a high reputation rate among clients in the consumer survey conducted by MillwardBrown SMG/KRC. 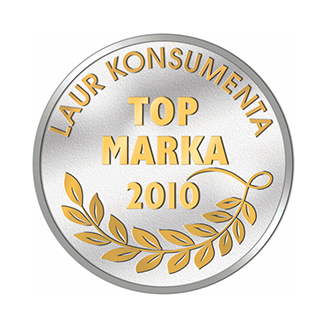 "Client's Laurel" is Poland's largest consumer programme, and its objective is to choose the most popular products in several groups. This distinction is awarded according to the results of consumer surveys conducted by TNS OBOP to businesses that are most frequently chosen and recommended by Poles. 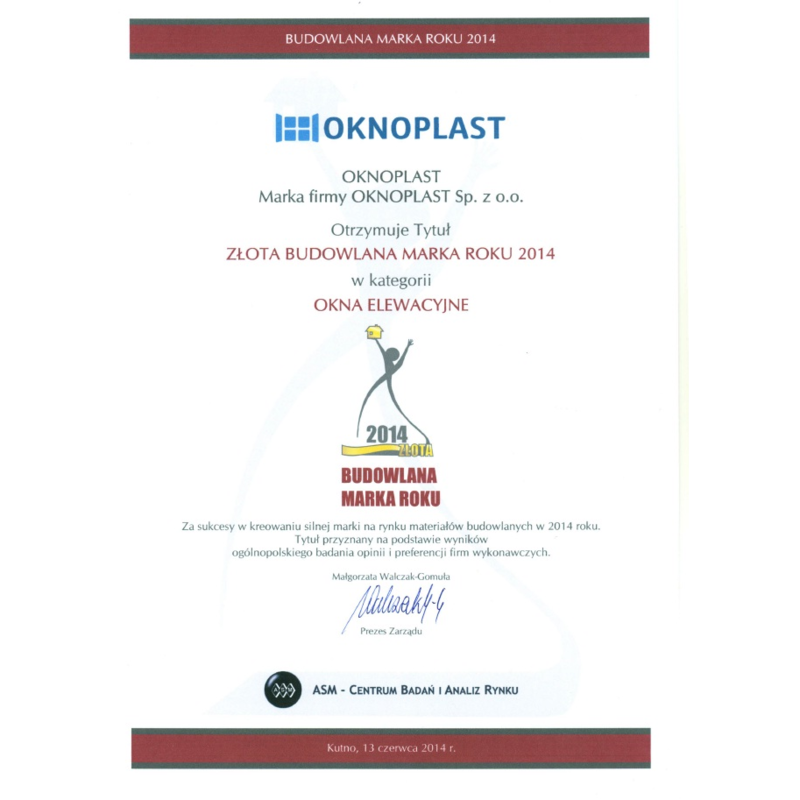 OKNOPLAST-Kraków has received the award in the "Construction Industry" category. The Top Brand title is awarded by the Media Partner Group, the publisher of "Rzecz o Biznesie" (Rzeczpospolita) and "Przegląd Gospodarczy" (Gazeta Prawna). 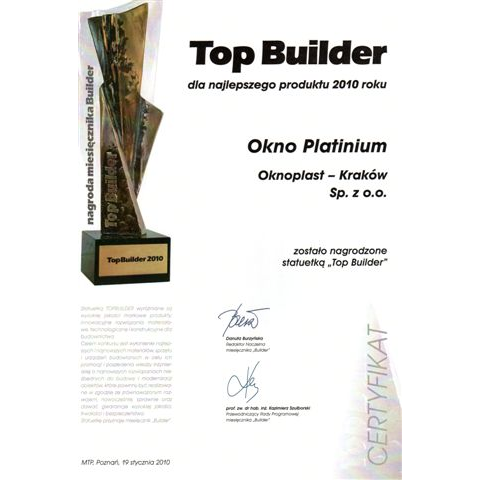 The title was awarded in the "Construction fittings" category for the most valued brand in Poland. The distinction is awarded by the Chapter of the Economic and Consumer Programme under the aegis of the Representation of the European Commission for timely settlement of all obligations towards Clients and Business Partners, as well as for respect for the environment and consumer rights. 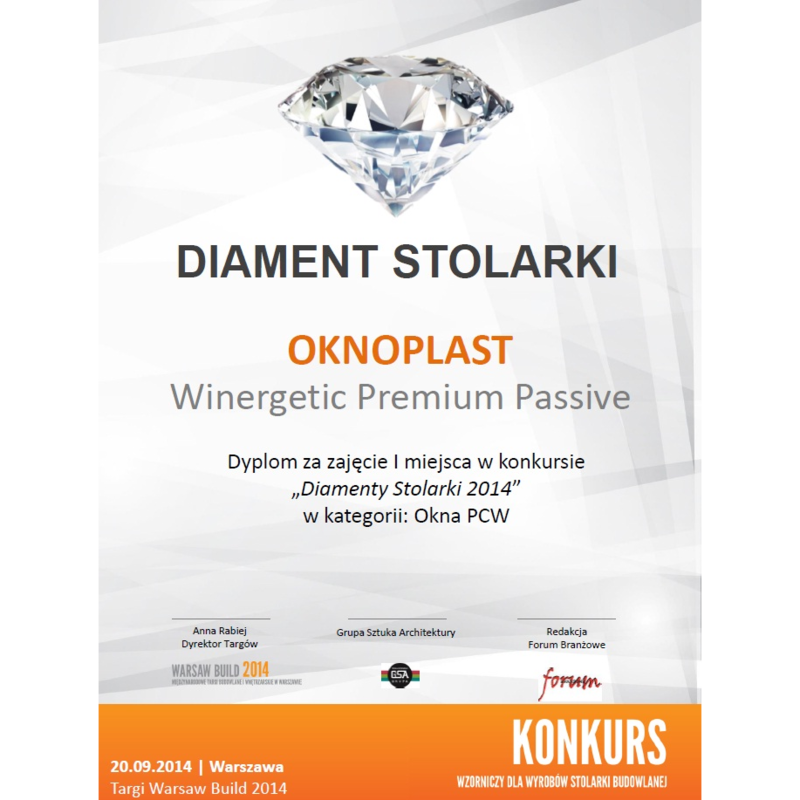 OKNOPLAST-Kraków has been included in the prestigious White List of companies selected in the contest. We have received this distinction 8 times in a row. Distinction awarded for outstanding results of exports to France in 2011. 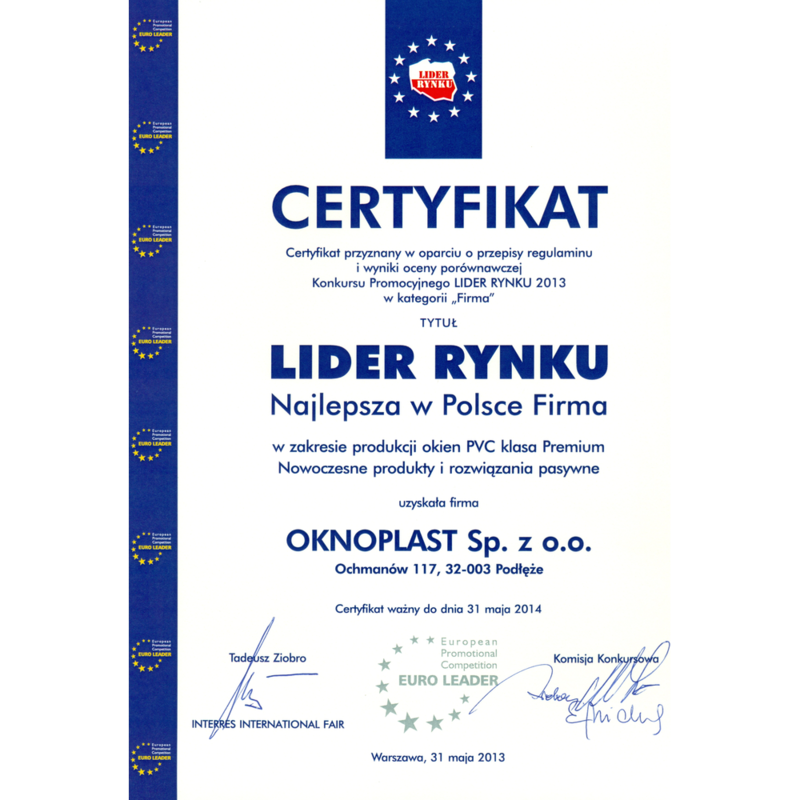 The title of Market Leader 2013 in the "Poland's Best Company" category for manufacturing of Premium-class PVC windows - Cutting-edge products and passive solutions. 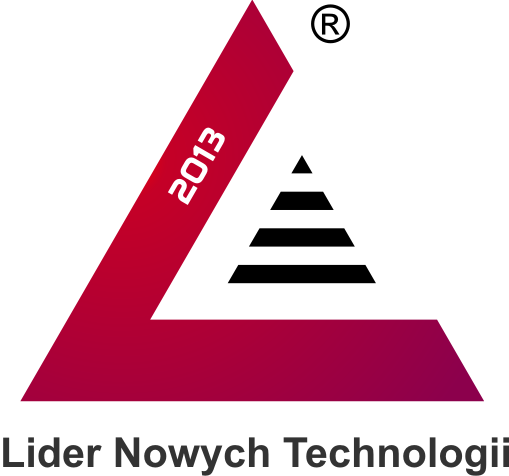 Market Leader 2012 award in the "Poland's Best Company" category. The company was distinguished for dynamic growth and the high level of business culture. Market Leader 2010 award in the "Poland's Best Company" category for manufacturing of PVC windows, and in the "Best Product" category for the PLATINIUM window. Special distinction awarded by Builder magazine for efficient corporate management and market success in 2012. Annual distinction awarded by Forbes magazine to companies that have significantly increased their market value in the given year. Distinction awarded at the Economic Forum in Krynica for outstanding success on foreign markets. Distinction awarded for successful development of a strong brand on the construction market. It is awarded on the basis of a survey conducted among contractors and reflects the competitiveness of the brand. The Construction Brand of the Year is a distinction for the companies that are most acclaimed in the industry. The Construction Brand of the Year is one of the most important and valued construction brand popularity surveys in Poland. The survey is conducted by ASM - Market Research and Analysis Centre. It is awarded on the basis of a survey conducted among contractors and reflects the competitiveness of the brand. Distinction for the best Partner in the category of best chain company of 2010. 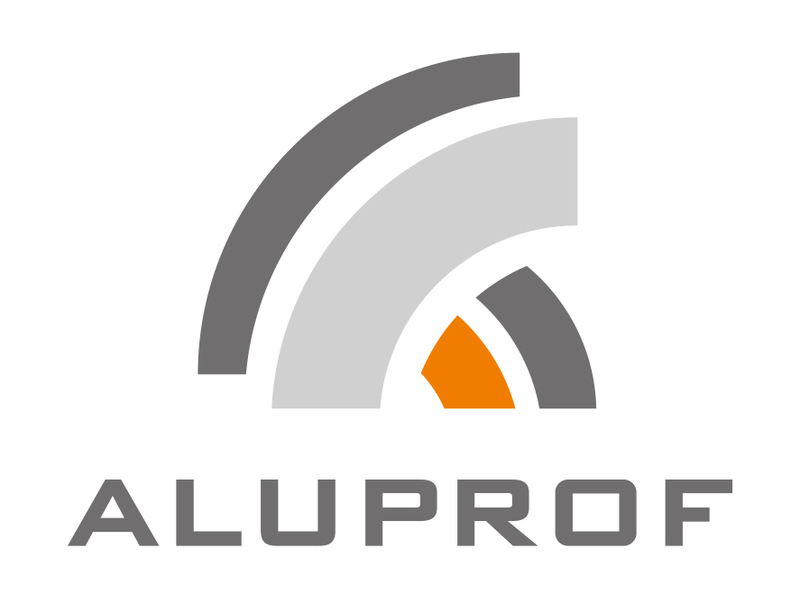 Awarded by Aluprof, a manufacturer of aluminium profiles, to its largest consignees. The distinction was awarded by the Editorial Team and the Programme Committee of Builder magazine in the Manufacturer of Materials and Technology category. 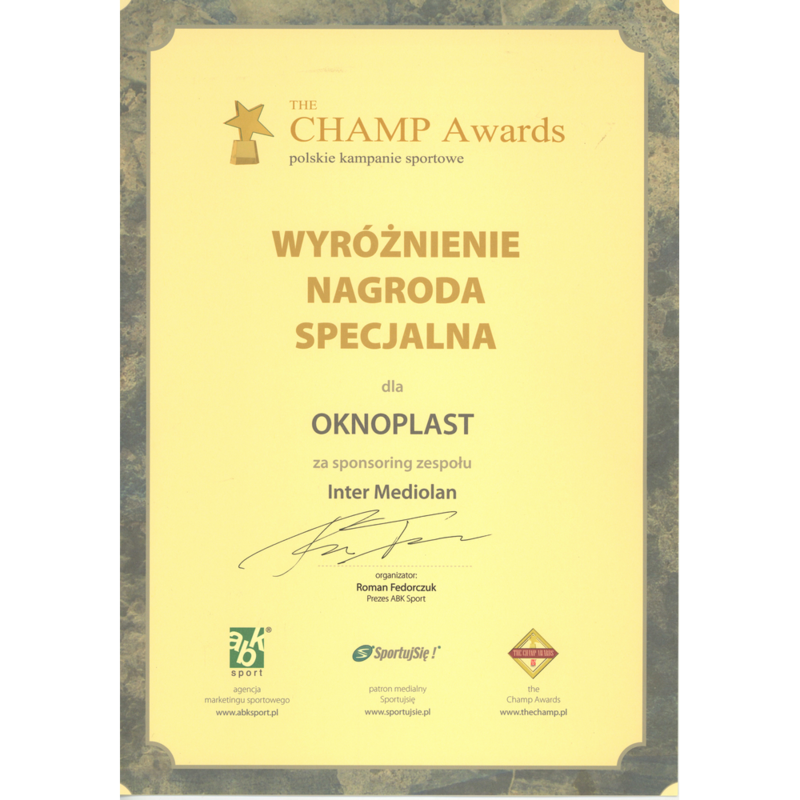 Prestigious distinction awarded to OKNOPLAST - Kraków for the sixth time. Certificate awarded to Poland's Best Company for manufacturing PVC windows and in the Product category for the PLATINIUM window. 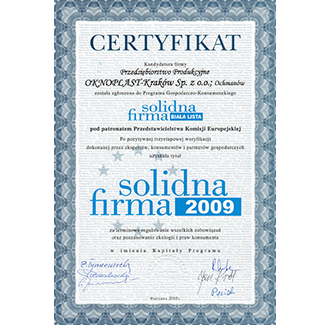 OKNOPLAST - Kraków received this certificate in 2002, 2003, 2005, 2006 and 2007. A prestigious distinction in a competition held by business magazines, i.e. 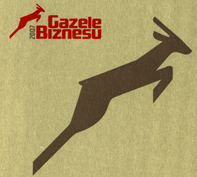 Puls Biznesu, awarded to the most dynamically growing businesses on the Polish market. Marker Leader 2014 award in the "Poland's Best Energy-Saving Window" category for the Winergetic Premium Passive system. 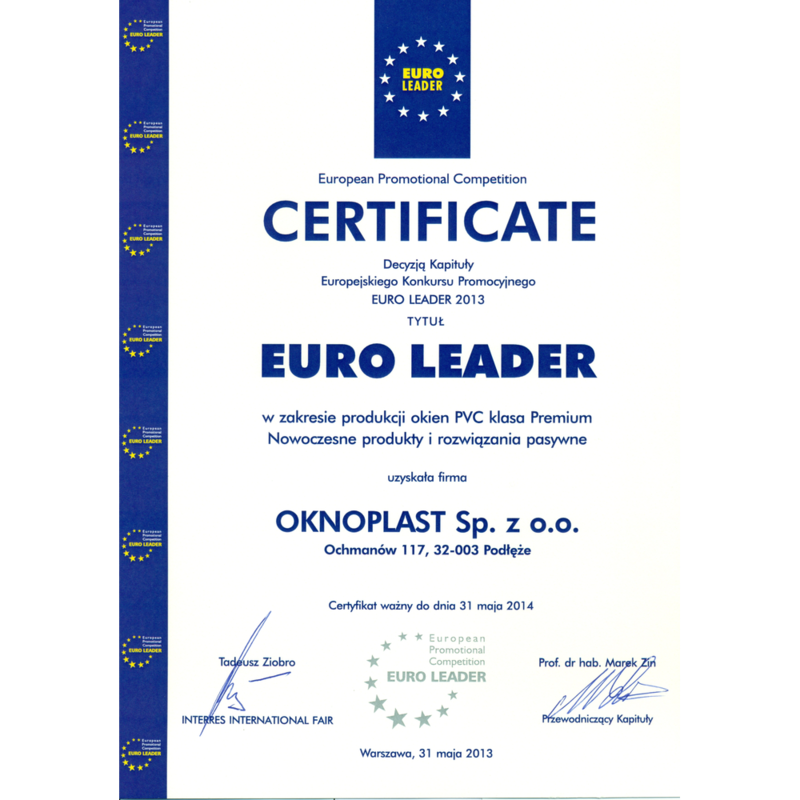 The EURO LEADER 2014 certificate was awarded by the Jury of the European Promotional Contest. This award reinforces our company's position as one of the European leaders. Distinction awarded to the Winergetic Premium Passive window for the best design and most innovative product in the PVC windows category. The Winergetic Premium Passive Window received the Exclusive Joinery VIP 2014 award. This distinction is awarded to top-quality products that meet the customers' highest demands. 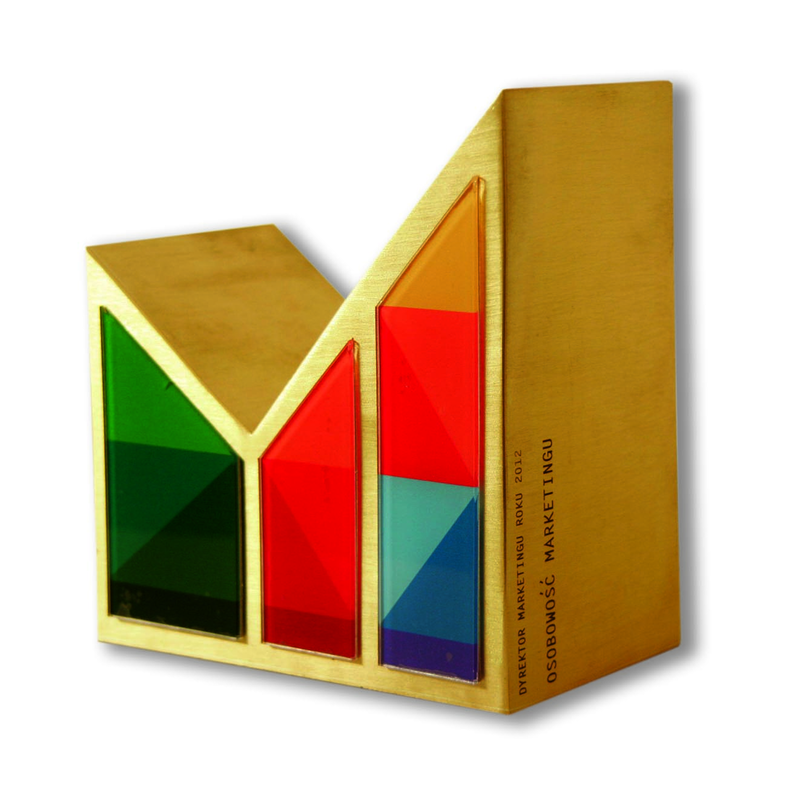 This valued distinction is awarded to the best innovative construction products. The distinctions are awarded by a Jury composed of the Editorial Team and the Programme Committee of Builder magazine. 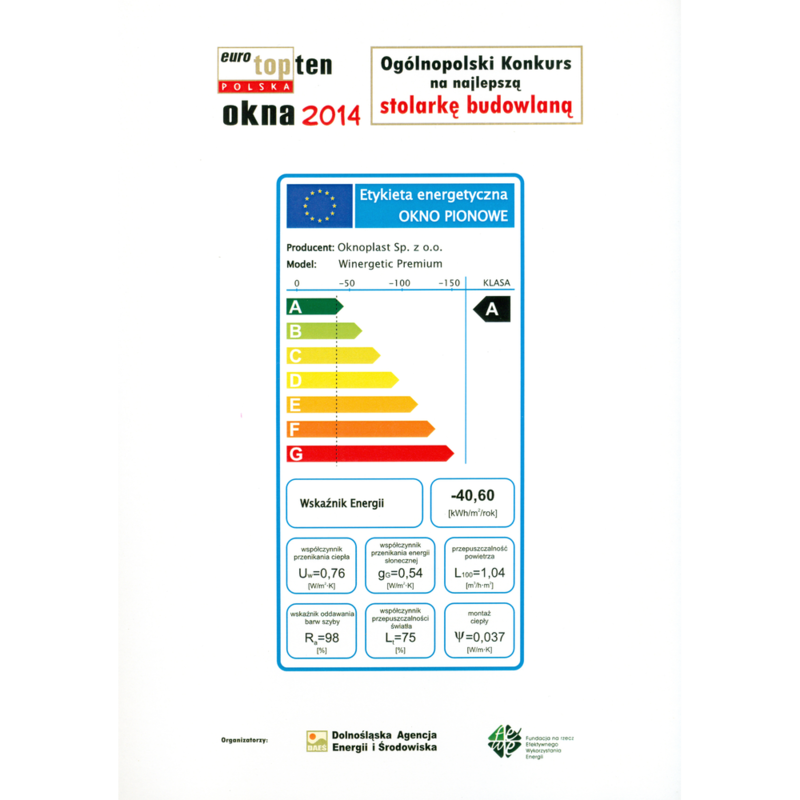 The Winergetic Premium window finished in the top three of the Top Ten Windows 2014 contest, held by the Lower Silesia Energy and Environment Agency, the Polish Foundation for Energy Efficiency and the Association for Sustainable Development. The distinction was awarded for innovative solutions in passive window joinery. The distinctions are awarded by a Jury composed of the Editorial Team and the Programme Committee of Builder magazine. The Jury of the 23rd edition of the competition distinguished our company's newest release - the energy-saving Winergetic Premium Passive window. 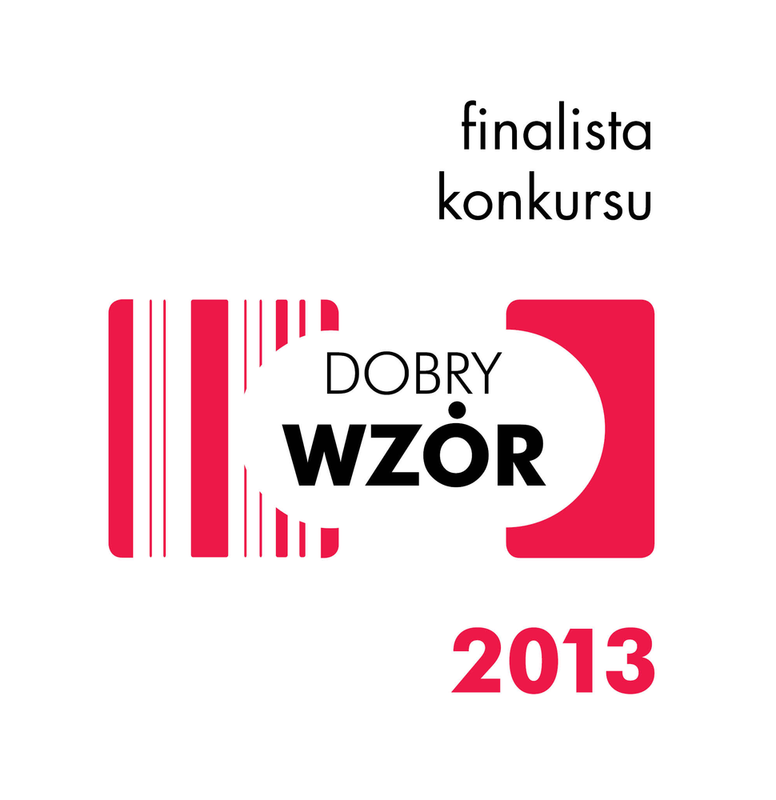 Teraz Polska (Poland Now) is one of the most prestigious Polish business competitions. The main objective of the Teraz Polska programme is to distinguish Polish products of the highest quality and functionality. 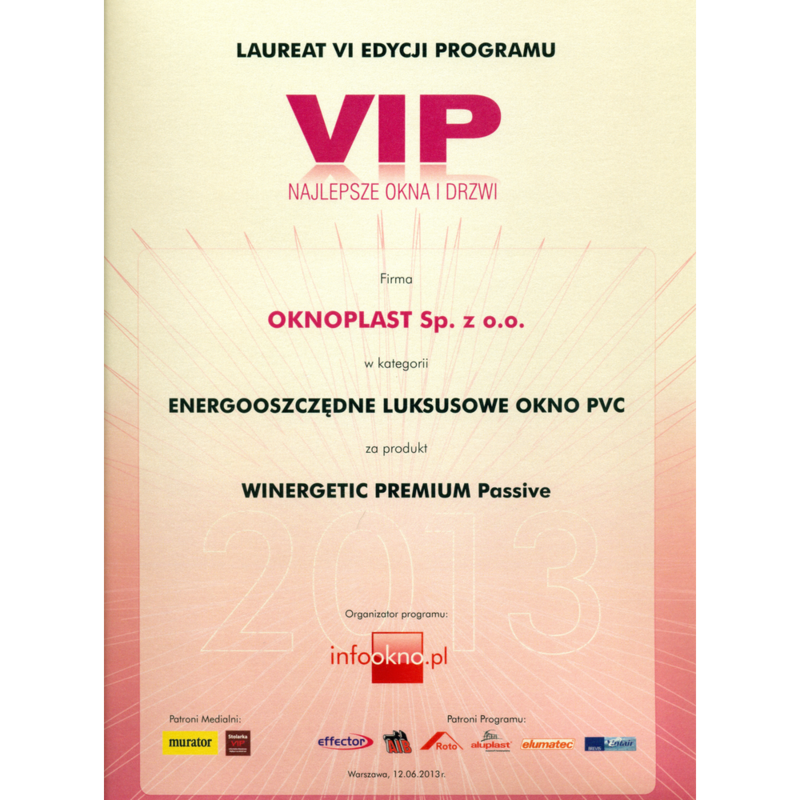 The award of the Infookno.pl website to OKNOPLAST in the energy-saving premium PVC window category for the Winergetic Premium Passive window. 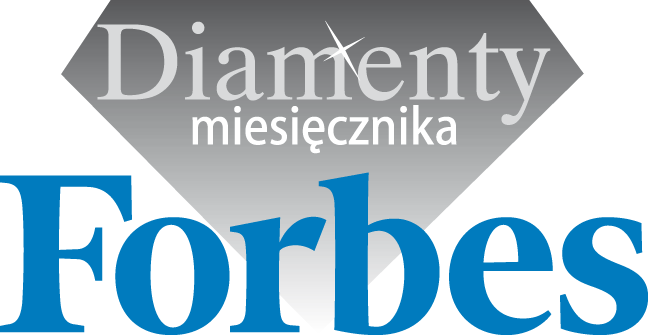 The "New Product of the Year 2012" distinction, awarded by Forum Branżowe magazine. 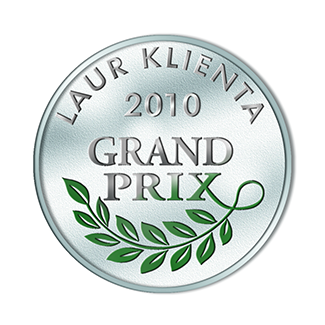 The distinction was awarded for innovativeness and unique design. Energy-saving Winergetic Premium window and dESIGN+ line window handle. 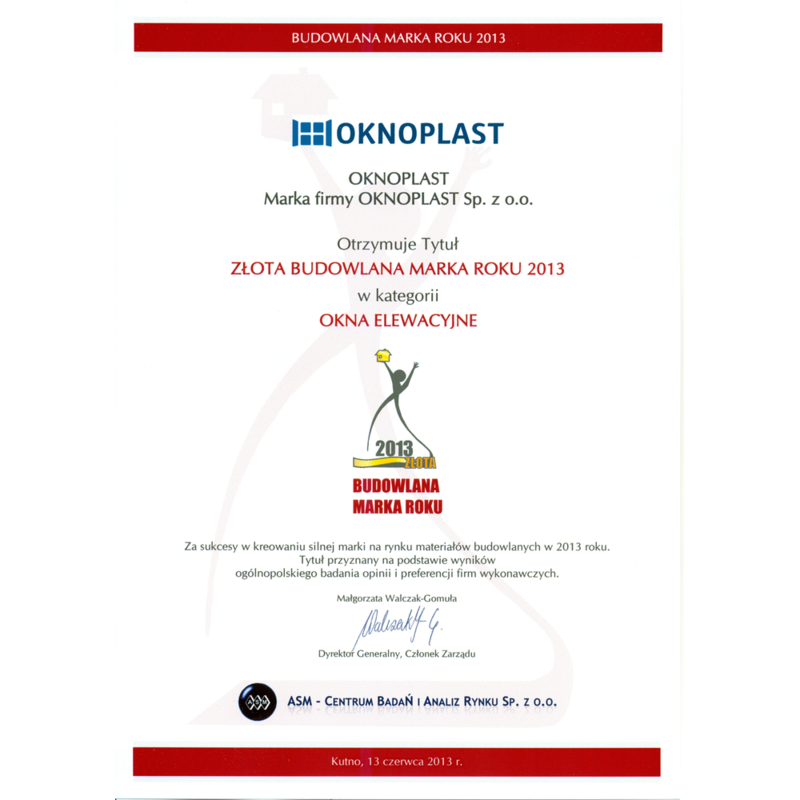 OKNOPLAST's two proprietary products went into the finals of the Good Design 2013 competition. The competition has been held for many years by the Institute of Industrial Design. The ColorFull system was distinguished as the Best Product by the renowned Italian construction website ediportale. 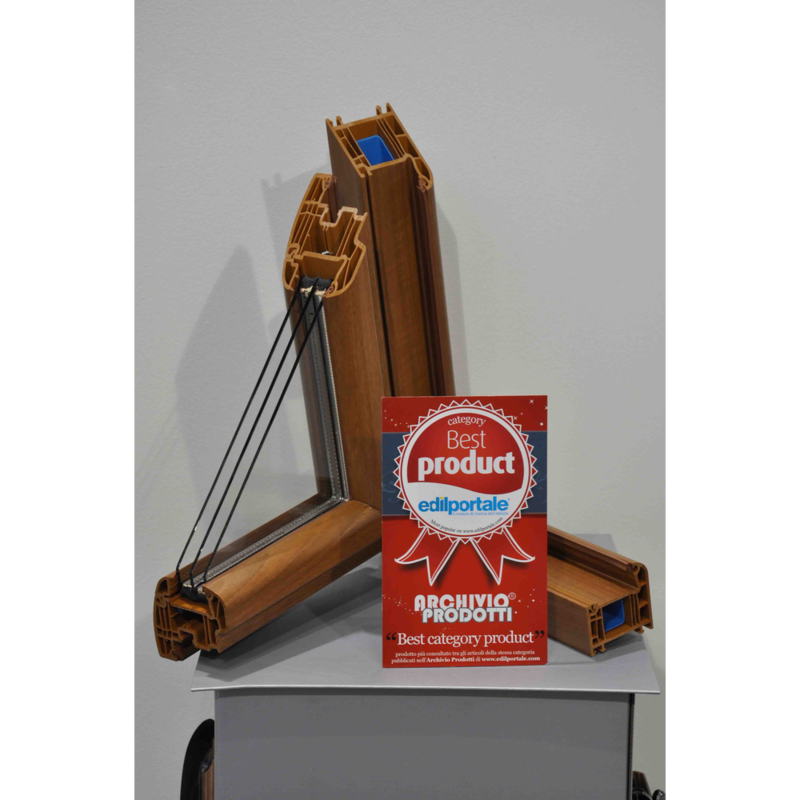 Prestigious award for the "VIP Innovative Joinery 2012" programme for the energy-saving Winergetic Premium window in the "Innovative PVC Window - Proprietary Design" category. 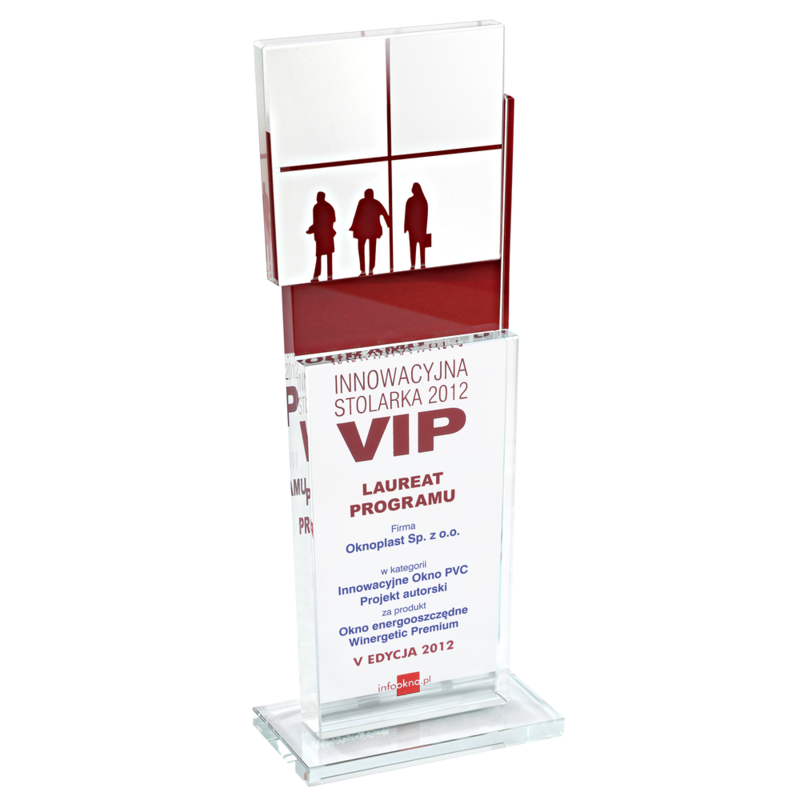 The award for the Platinium Evolution 2 window in the "Poland's Best PVC Window" category. 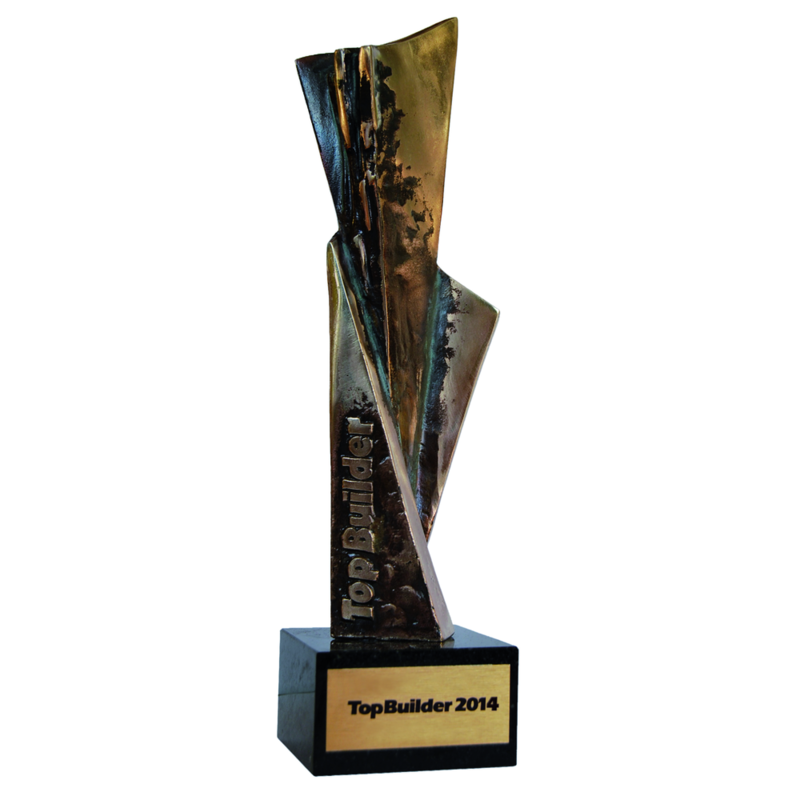 The TOP BUILDER award is a distinction of the Programme Committee and the Editorial Team of Builder magazine for high-quality brand products and innovative technological solutions. 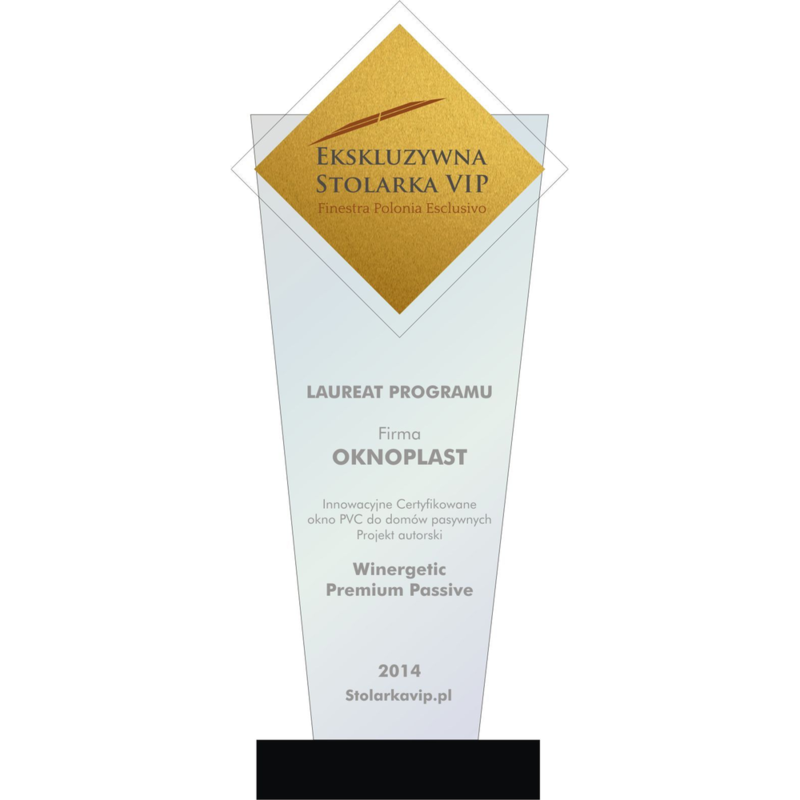 Prestigious distinction awarded to OKNOPLAST for the eighth time in the "Poland's Best Company" category for PVC windows, and in the "Poland's Best PVC Window" category for the Platinium Evolution 2 window. The "New Product of the Year 2010" award for the Platinium Evolution window in the competition held by the specialised magazine Forum Branżowe. Quality of the Year 2010 is a distinction awarded by the Editorial Team of Economy Life Today of 'Rzeczpospolita' daily for top quality of products and high standards of business. The "Teraz Polska" (Poland Now) Promotional Emblem is awarded by a jury of independent experts for the best products, services and communes that have the potential to promote the image of Polish entrepreneurship, both in Poland and abroad. This prestigious distinction was awarded to the PLATINIUM window in the "Best Product" category. 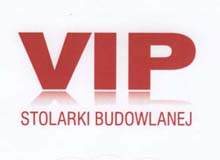 The "VIP Best Windows and Doors" programme is an initiative of the Infookno.pl website, developed with those clients looking for the best windows and doors in mind. The aim of the programme is to actively promote manufacturers of joinery and their products. The TOP BUILDER award is a distinction of the Programme Committee and the Editorial Team of Builder magazine for high-quality brand products and innovative technological solutions. The PLATINIUM window received the award in the "Best Product of 2010" category. 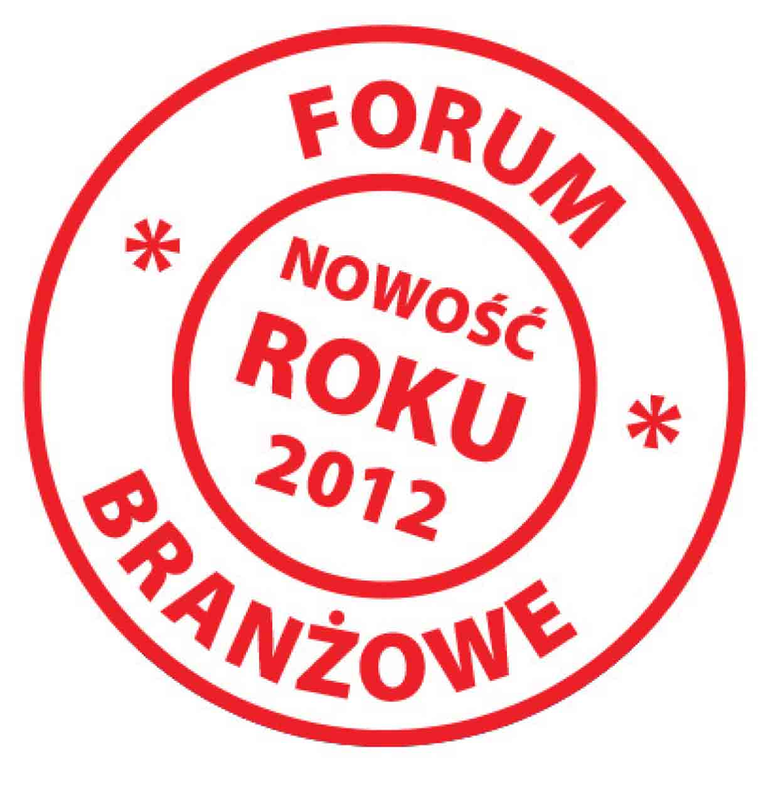 Distinction awarded to the Mercury door by Forum Branżowe magazine. Our product was voted best in an SMS poll. The shape and design of the Mercury door were created by German designer Sabina Bishof, who was inspired by the design of the Platinium window. 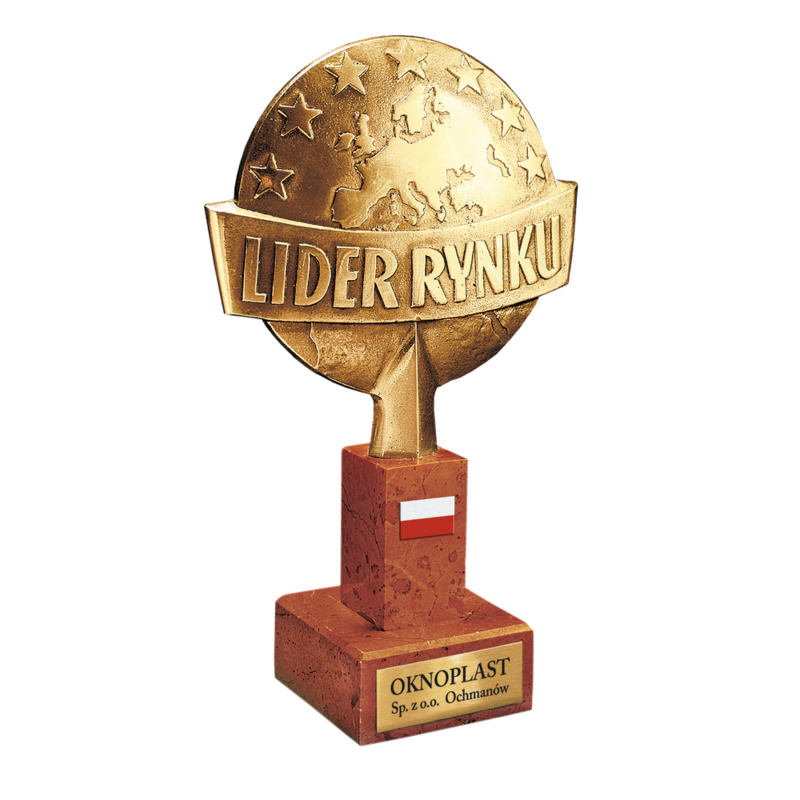 Distinction awarded by "Brief" magazine, who placed OKNOPLAST among the 25 Polish companies with the strongest potential for developing a strong POLAND brand. Diploma awarded for consistent implementation of a brand promotion strategy through sports. 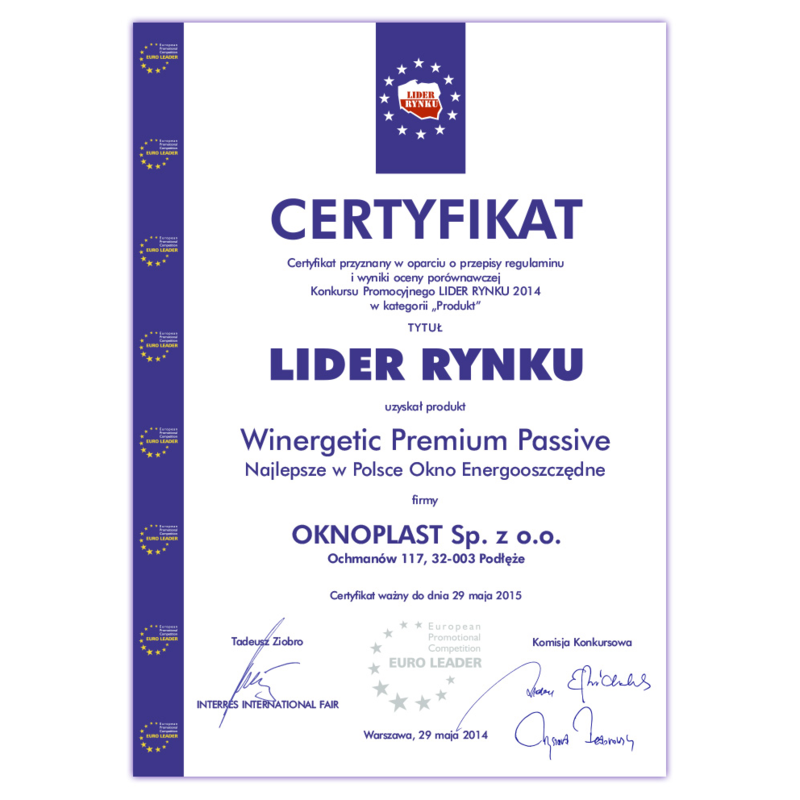 A number of OKNOPLAST products have received the "Green Window" certificate, which confirms that the window is manufactured without the use of mercury, thus demonstrating our sense of responsibility for the environment and the safety of our clients. 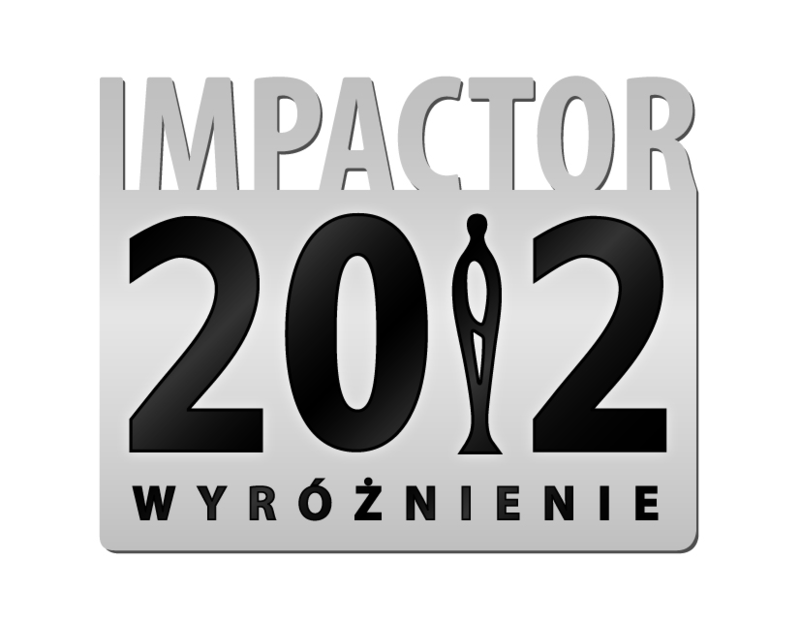 Distinction in the IMPACTOR 2012 competition in the Project of the Year - Sports Marketing category. The jury recognised our company's cooperation with the globally renowned football team F.C. Internazionale Milano. Special distinction for sponsoring of Inter Milan. The idea behind the Champ Awards competition is to support the growth of Polish sports, combining sports and business to popularise physical culture and recognise businesses that have significantly contributed to promoting sports and recreation. Distinction awarded to our then Marketing Director. A jury of industry experts, representatives of the media and award recipients from previous years recognised the outstanding results of his work on international markets. The award ceremony was held on 14 June in the Polish Baltic Philharmonic Hall in Gdańsk. 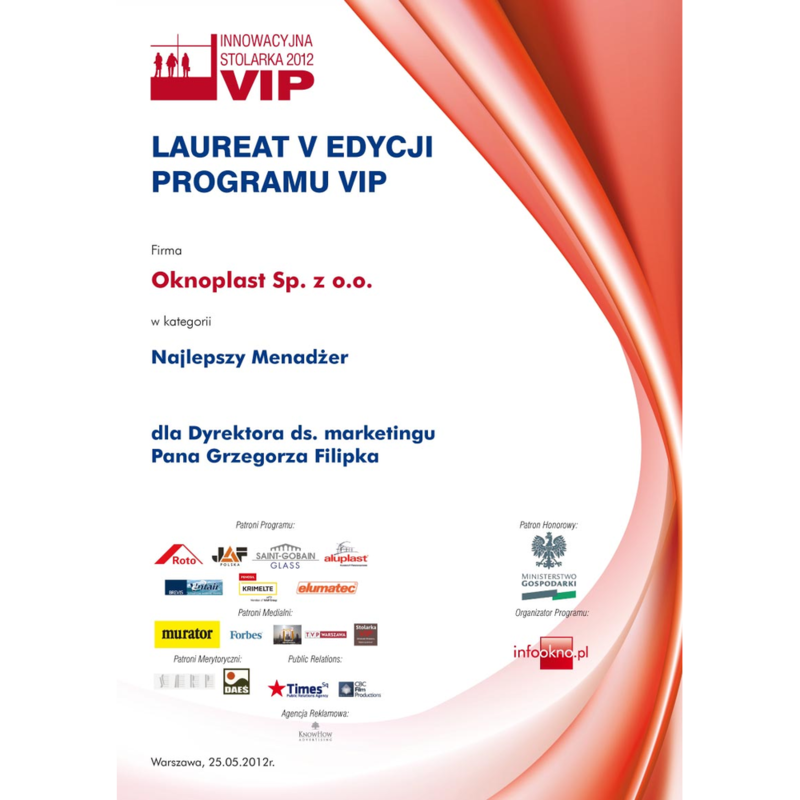 Special distinction awarded by the jury of the "VIP Best Windows and Doors" for Oknoplast Marketing Director, Grzegorz Filipek, as recognition of the 10 years of his work in the industry.